Every so often, I see an effect and wonder how it was created. 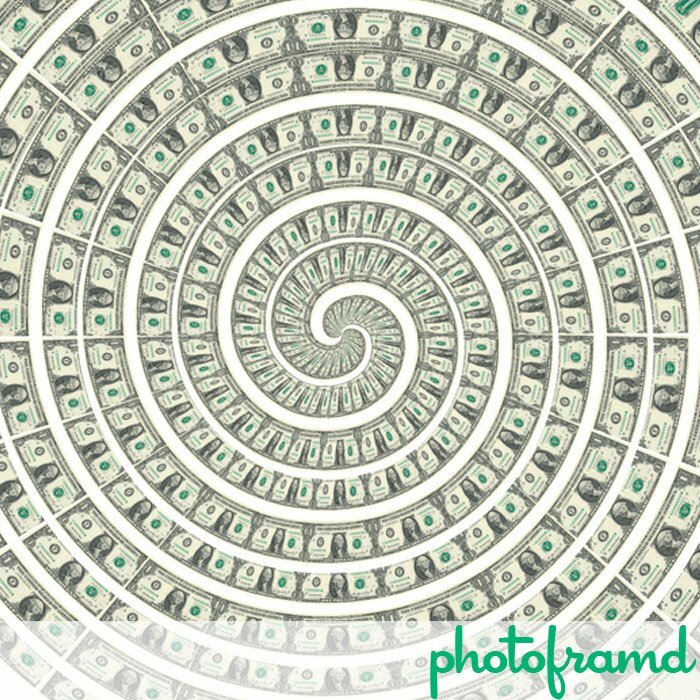 I saw this “dollars going down the drain” graphic in the editorial pages of a newspaper. 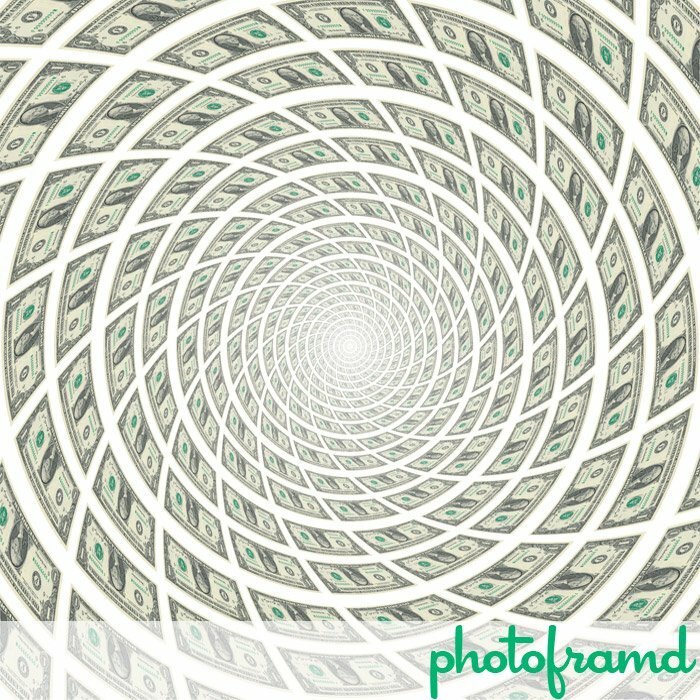 Since this was not your typical effect, I thought of looking through Filter Forge’s gallery. I found three effects which fit the bill. 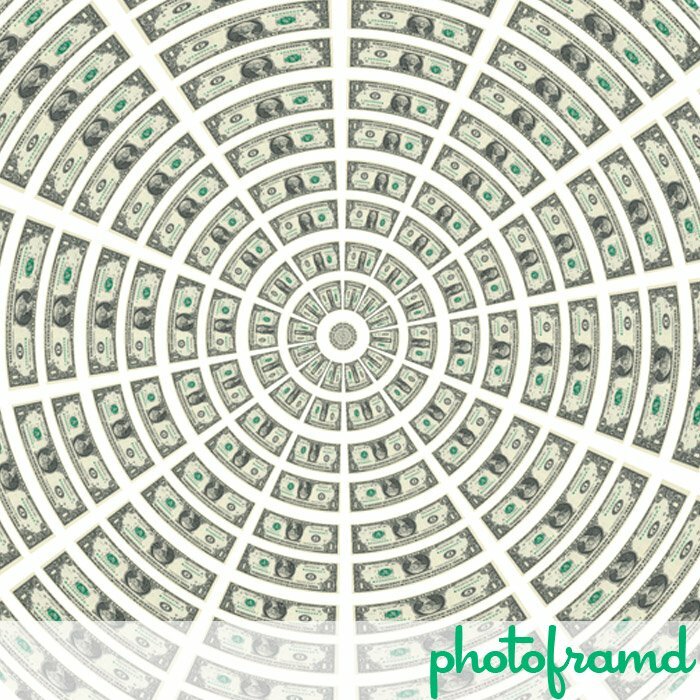 I started with a simple scan of a US dollar bill. In experimenting with the filters, I found that the starting image had to be a perfect square. 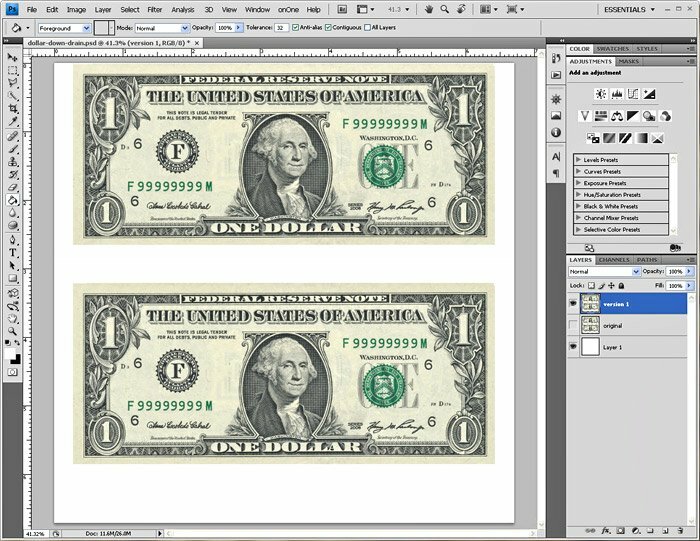 To fill the space, I doubled the dollar bill image in this square space. I have covered Filter Forge before. 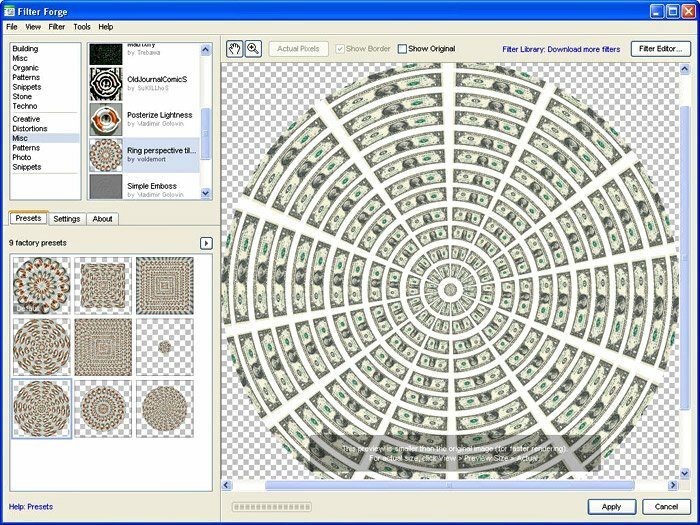 It is a platform for developers and even users to create and modify Photoshop filters. The gallery has almost 7000 available filters. All of these filters can be customized through the settings panel. 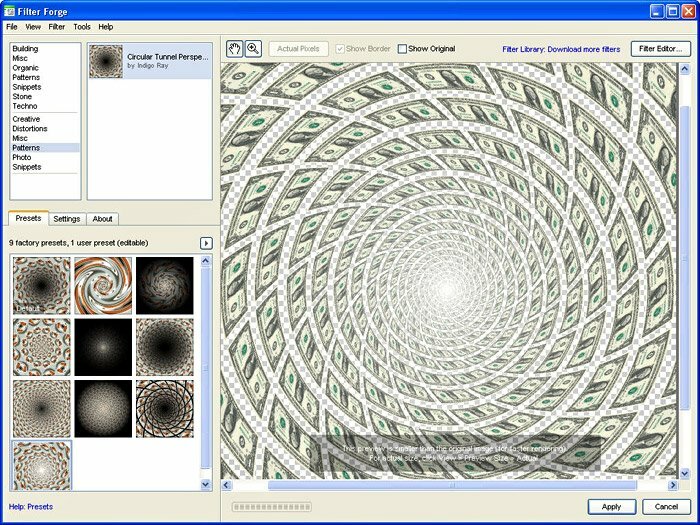 If you have the Standard or Professional version of Filter Forge, you can actually modify the way the filter works to create you own custom effects. New filters are being added all the time. 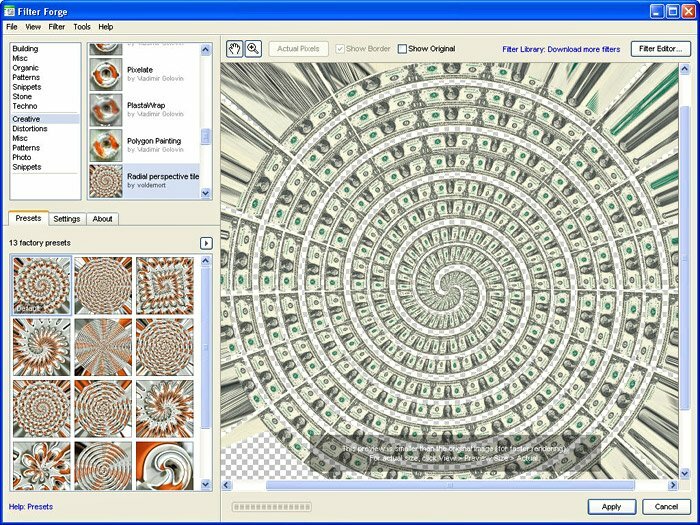 The Basic, Standard and Professional version of Filter Forge can download and use an unlimited number of filters from the nearly 7000 filters available. If you are looking for a unique effect, chance are you will find it in the Filter Forge Filter Library!